Add FMA to the system that you are currently teaching or fulfill your Passion for learning and teaching Martial Arts. We give you the tools that you need for success with the DFA Kali Mentoring Program. 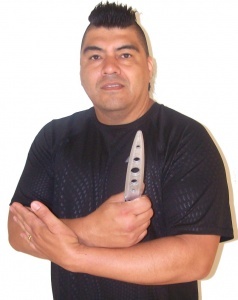 If you're looking to learn Kali, Escrima, Stick Fighting, Knife or Karambit, we've got you covered. Standard T-shirts, Long Sleeve, Dri-wicking, Hoodies. We can also make personal shirts for you or your school. Paperback and eBooks are a great compliment to the Online Video course. Karambit, Knife and KunTao books available. Seminar, private or groups lessons available. If you can't come here, we'll come to you. We are working on many new projects to help you to succeed! Levels 7, 8 & 9 - FINISHED! 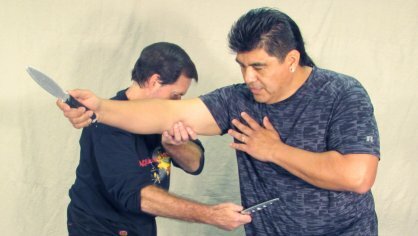 The Filipino Kali Course is excellent. They are full of great content. I wouldn't hesitate in recommending them to others.